What, Nokia’s going to venture into the little laptop business? Really? Everyone seems to be shifting roles at the moment – Acer’s delved into smartphone territory, LG and Toshiba took their first steps into the world of netbooks last year and Hyundai went and unleashed a slew of mobiles. It’s just like in that movie Vice Versa – except there’s no mysterious oriental skull (that we know of). 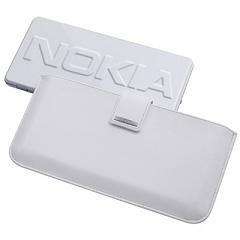 That’s all the information there is for now , leaving us with no indication as to when Nokia will be gracing us with its netbook efforts. Tell us what you think in the comments below – Is Nokia’s plan to spread its wings a good idea?